A little set of six creamy, muted shades from Essie this winter. It actually doesn't feel like a winter collection to me. Nothing snowy, not too vampy, no pairing of red and green, no glitter. Just a few wearable, subdued shades that could really be in any season's collection. Essie Bangle Jangle. A very soft purple-tinted grey. In some lights it looks more purple than grey, like pictured here. This is not stark or chalky, it, like the rest of the shades in the collection, is very soft and creamy, even a little muted looking. 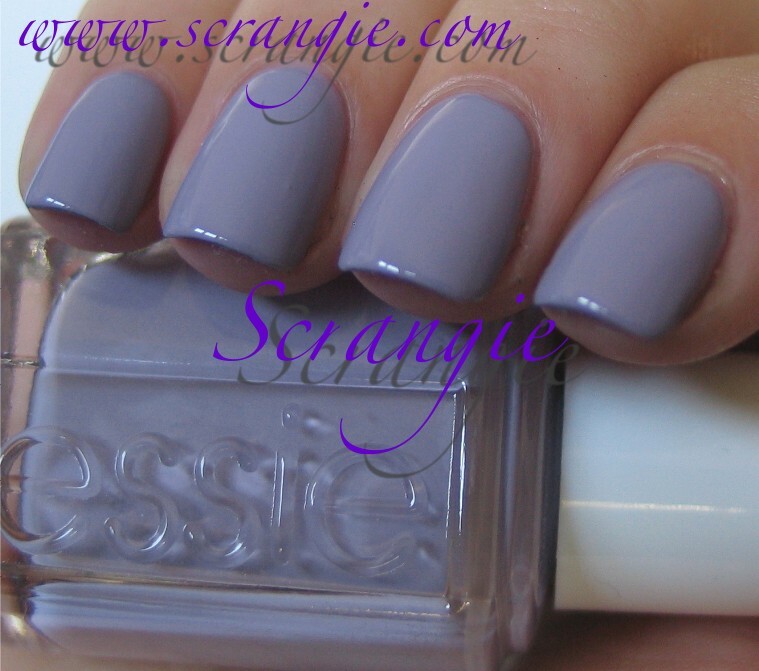 Essie Brooch The Subject. A light creamy beige. A little bit of grey (just a drop), a little bit of pink. Not pure stark beige. Soft and creamy beige. 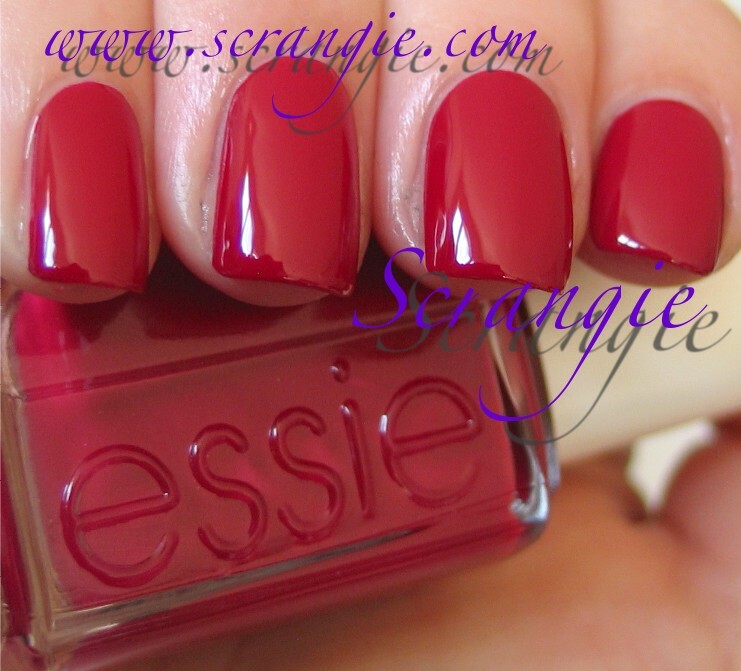 Essie Bobbing for Baubles. A very dark dirty blue creme. Actually, it looks more teal than pure blue on me, like a Rescue Beauty Lounge Teal type of teal. The smoky peacock kind. Essie Cocktail Bling. This one is a blue-toned light grey creme. Not a whole lot to add to that! Essie School of Hard Rocks. Another teal creme, but this one is lighter. My picture does it no justice, but it's also very soft and muted like the other shades in the collection. It's more pronounced on this color, but I don't think my photo conveys how soft it looks. Essie Size Matters. A light, pink-leaning red creme. This seems so out of place with all these greyed-out, borderline pastel colors, but somehow it works. I think this collection needed a little splash of color. The formula on these was great. Smooth and even. Bangle Jangle was a little streaky, but otherwise no problems to report. I did three coats of each. Drying time was great. Brushes were thin and even, no defects. Nice little set of soft shades, but nothing we haven't seen before. 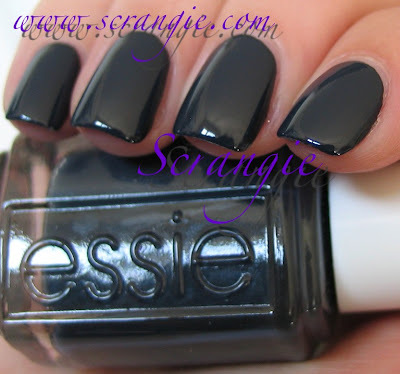 Essie doesn't do teals all that often, so that was nice to see in here. Bangle Jangle is very pretty. Other than that, nothing exciting or brand new, so not much for me to say except that I can't wait for the Luxeffects collection to be released! I did a mani with school of hard rocks and bobbing for baubles! I think they are so pretty together! Have yet to wear size matters. Looks quite disappointing considering it's a winter collection. I purchased a few of these. My preferred ones are School of hard rocks (reminds me of a lighter version of Dior's Nirvana) and Bangle Jangle. I still prefer the Fall collection though. School of Hard Rocks is my favorite! LAME. Pretty colors, but I've been a fiend for glitters, duo+ chromes, holos and the like lately, so these just aren't calling my name (except School of Hard Rocks). Like you, I CANNOT WAIT for LuxeEffects! Have you seen the new Models Own Beetlejuice collection? Check it out...it should keep us occupied until Luxe comes out. I'm liking school of hard knocks. 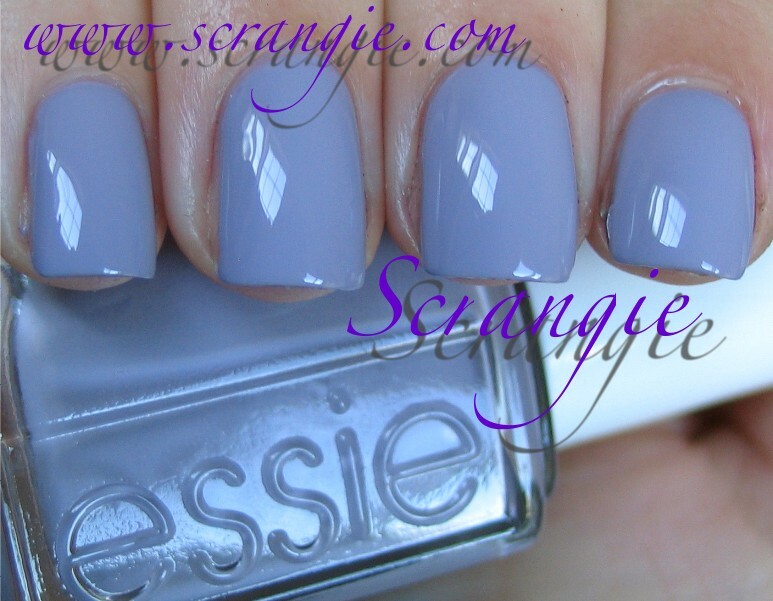 I wonder how Bangle Jangle compares to Essie's St Lucia Lilac? They look very similiar. I also cannot wait for the luxe effects. Anyone know where I can preorder the set? I actually love them, they look simple yet elegant. colors are soft and pretty!!! I love Bangle Jangle, soft purple gray on the first. blue one is also very lovely! I like all of the shades but they seem dupable. What top coat do you use on your nails? They always looks shiny and flawless!! ...WHERES THE SPARKLE? wheres the shimmer? or holo? or duo? or ANYTHING with a bit of interest and winter spirit? why do essie make heaps of these cremes.. it gets dull and samey after a while. give me glitter anyday! I only got Bangle Jangle and School of Hard Rocks from this collection. I loved wearing those colours. The others don't really do anything for me. Where is the glitz of the Holidays in this? :( I agree with you. Doesn't feel like a Holiday Collection at all. I think my favorite is School of Hard Rocks.I don't have anything quite like it and it would make a nice addition to my collection. Another tempting collection from Essie. Not sure if I'm going to buy anything. I'd love to have them all!